The FreePBX EcoSystem continues to grow with the addition of Snom Technology as our newest Certified Hardware Partner. This certification means the FreePBX Project engineering and development teams have tested Snom endpoints for functionality and usability within the FreePBX platform and EndPoint Manager. 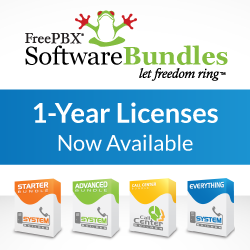 The FreePBX Certified EcoSystem Product Program enables end users and systems integrators to identify products and solutions that are interoperable with FreePBX. Through achieving certification, Snom has demonstrated a willingness to work closely with the FreePBX Project to give our shared end users and partners access to a wide range of officially supported endpoints. Will Phone Apps be released for Snom products.